Two months ago, my dearest friend became the grandmother of two adorable little twin girls. This quilt is the second I prepared for them. The first one was the zig zag quilt, shown here : zig zag quilt. This is the simpliest baby quilt I ever made and it's my favorite one! In one day it was done. I assemble the blocks, then the bands. I chose a stripe darker pink fabric to frame. As I found too cute the fabric with the toys prints, I did not want to cut it in small pieces, and decided to use it as large bands all around. For the binding I chose an aqua fabric. 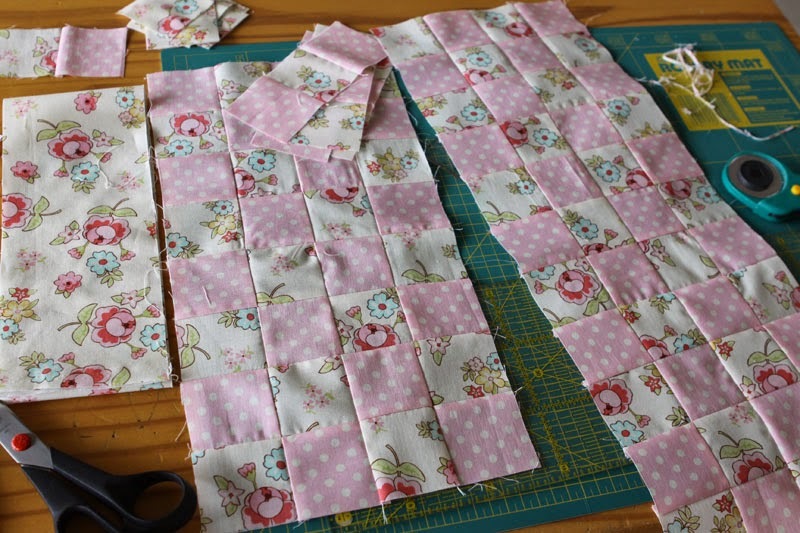 Now time for quilting! 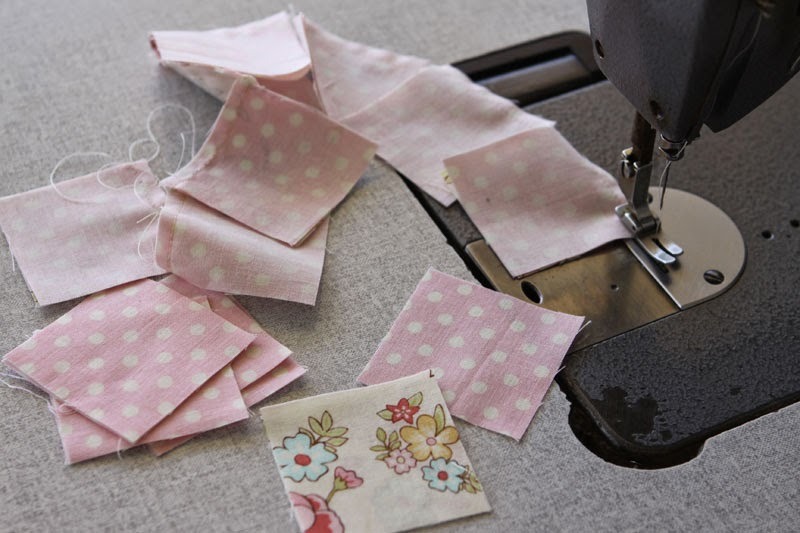 I chose the colors of the fabrics according to the taste of the grandmother who likes delicate tunes, especially tender pink. Let's hope the mother will like the quilts. As regards the little girls, growing older, I am sure they will appreciate them, as all little girls love pink! For you, the first rose of my garden. HELLO, thank you for the Rose! Your quilt may seem simple to you, but is one of the prettiest I've seen! 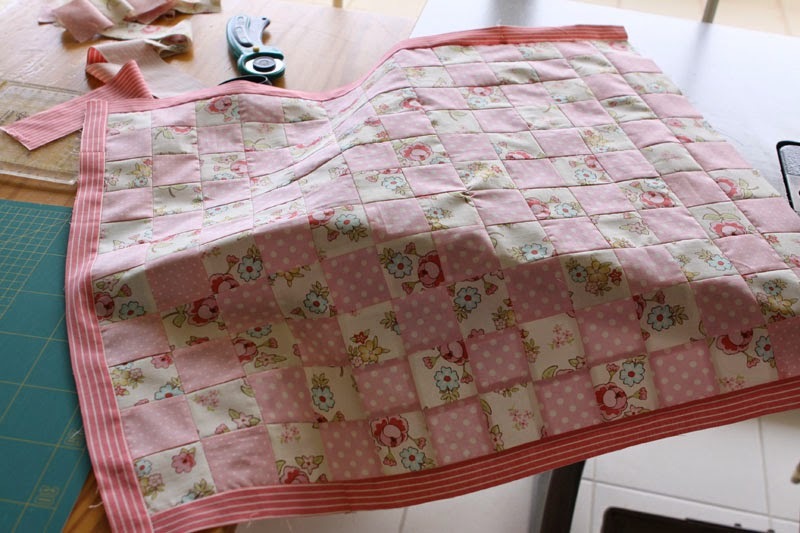 Another lovely baby quilt. I'm sure it will be loved and played with for a long time. Such a beautiful quilt! Great fabrics, so pretty. Simple, and yet so very pretty. 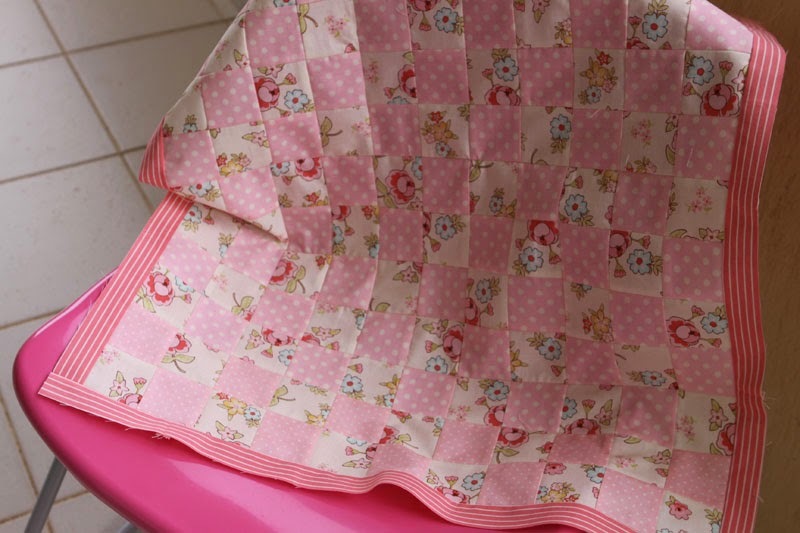 What a precious little quilt and the fabrics are so cute! Love the stripe border! Thanks for sharing. 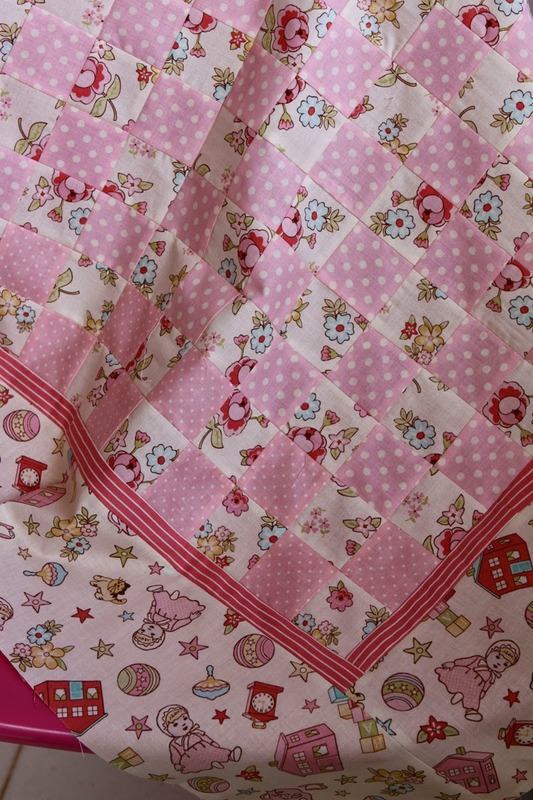 Very lovely little girl/baby quilt! What a sweet gift. What a gorgeous baby quilt!!! The fabrics are just perfect. Love the way the striped sashing stands out. Very beautiful! 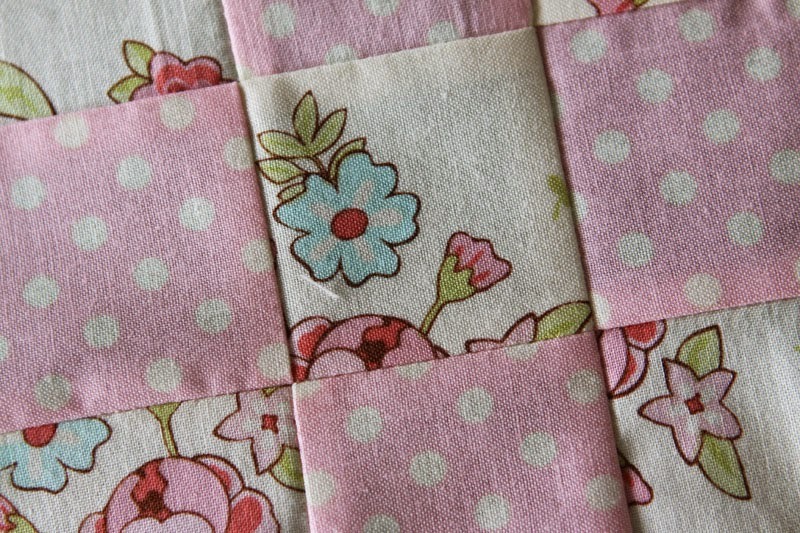 I would never I thought of adding a stripe border to those flowery and dot squares, but I find the result quite pleasing to the eyes. 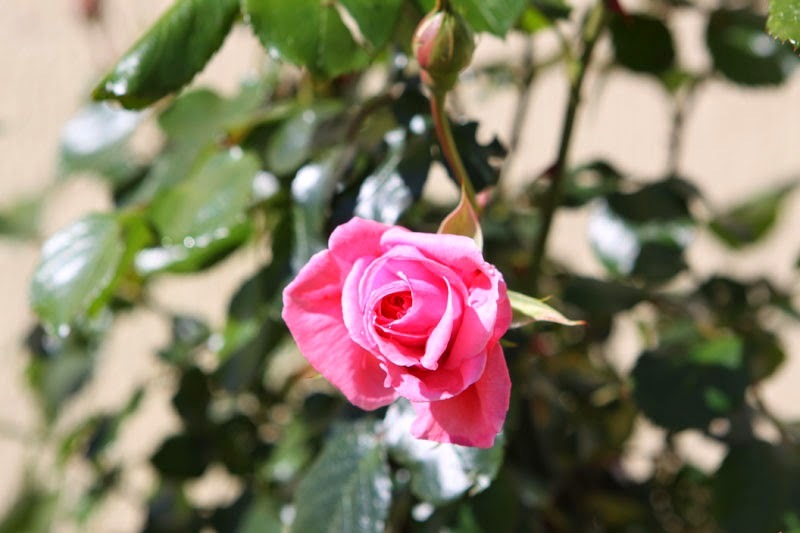 I think it's because the dark pink reflect the darker shade of the roses. As well as the houses and the clocks on the outside border. Yes, beautiful! aw! 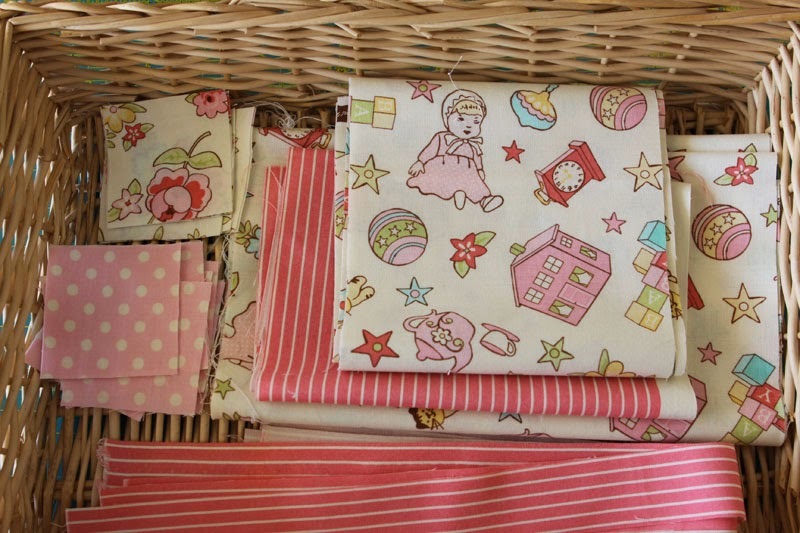 these fabrics are so sweet, and just perfect for a baby girl! Such pretty prints and a simple design that turned into delicate beauty. Leaving that larger print for the border and choosing an aqua for the binding are both great calls, Christine! I am sure the mother will love this quilt, too!